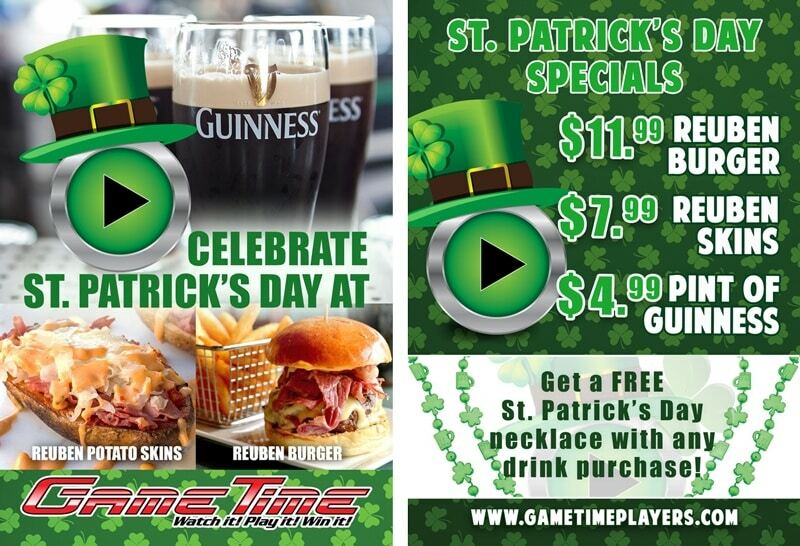 Get to GameTime on St. Patrick’s Day for a fun celebration giving away free festive bead necklaces with any drink purchase, $4.99 Guinness pints and special mouthwatering Reuben Potato Skins and Reuben Burger. Then take your pints to the mega arcade where you can enjoy a friendly competition amongst mates on a variety of interactive games. The perfect spot to get your St. Paddy’s Day game on!